If your like me and don't drink coffee or want a warm drink other than hot cocoa for your children, then these steamer recipes maybe just for you! Today I'm sharing a pumpkin steamer, caramel steamer, and a vanilla steamer! 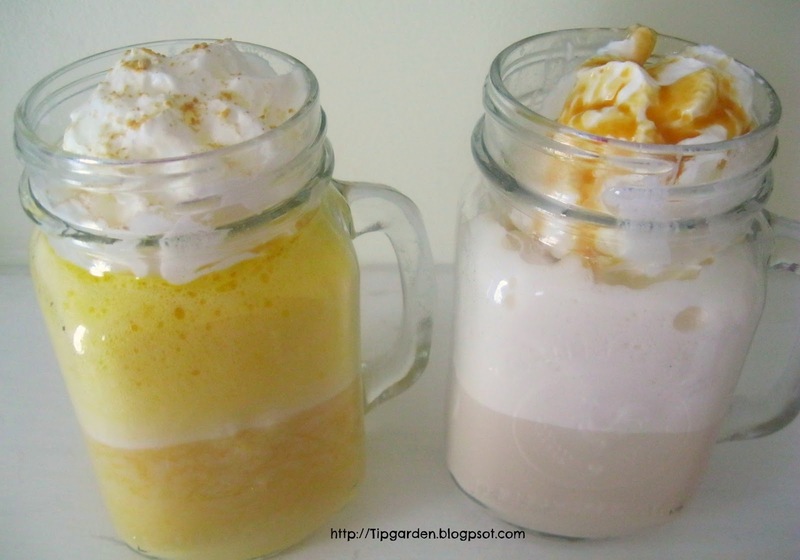 These are a thrifty alternative to buying drinks at coffee shops! I love controlling the cost as well as the ingredients such as preservatives, additives, sugar etc. I made mine in my Cocomotion machine from Mr. Coffee. I love my hot chocolate maker! But you can make these in a saucepan on the stove top also. They take only a few minutes to make. These can be stored in the fridge for a few days, so go ahead and double or triple the batch and store in fridge, then just re-heat for an on the go treat! I've been told a few spoonfuls would be great mixed into coffee, but I"ll have to let y'all tell me that, since I don't drink it. Jan's tip: Any kind of milk will be fine: soy, almond, whole, skim. Same with the sweeteners: Sugar, honey, sugar substitute. Play around with the ingredients till you get it just right for you! Directions: Whisk all ingredients together in a small saucepan until heated through and mixed well. Adjust seasoning and sugar to taste. Remove from heat. Pour into mug. 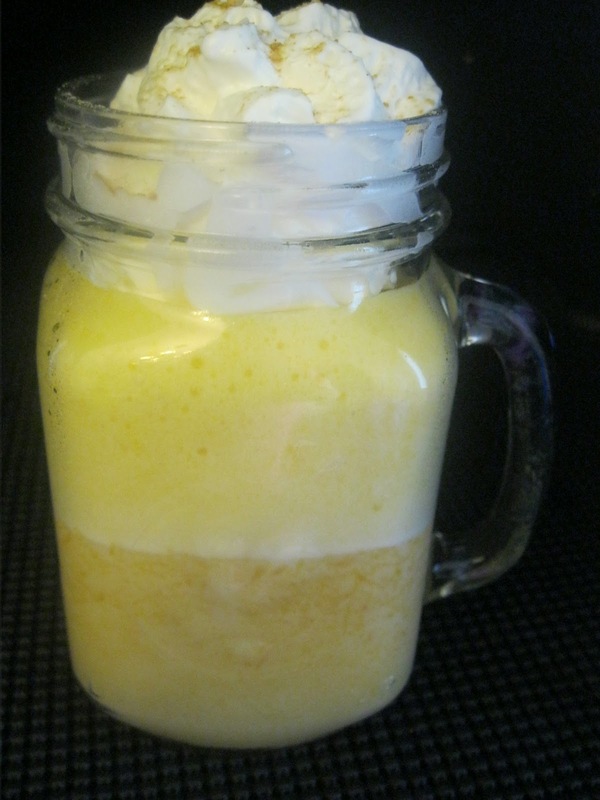 Top with whipped cream and sprinkle with a dash of pumpkin pie spice. (both of which are optional but super yummy!). Jan's tips: I used homemade pumpkin puree from my freezer, which is a bright orange. Canned pumpkin will probably give the steamer a darker, richer color. 1/4 cup caramel sauce (such as ice cream topping). Directions: Whisk all ingredients together in a small saucepan until heated through and mix well. Pour into mug and top with whip cream and drizzle with caramel sauce. 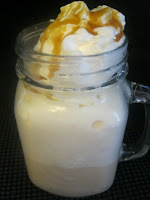 Jan's tip: The original Caramel Steamer recipe called for only 3-4 Tablespoons Caramel, but for me it hardly was enough to taste like caramel for me, so Increased it. Feel free to play around with it to suit your own taste. Directions: Whisk all ingredients together in a small saucepan until heated through and mix well. Adjust seasoning and sugar to taste. Remove from heat. Pour into mug, top with whipped cream and drizzle with caramel and or chocolate sauce if desired.